Yum!! What's better than a 1/2lb or chocolates - 1lb of course! Assorted creams, jellies, caramels and more make up this delicious treat. If you have a preference of chocolate (dark, milk, white) or candies included, please leave comments in the instruction box during checkout. Our minimum order requirement to qualify for delivery is $29.99, and this purchase alone would not qualify. But add on some flowers or balloons or get 2lbs and you are there! 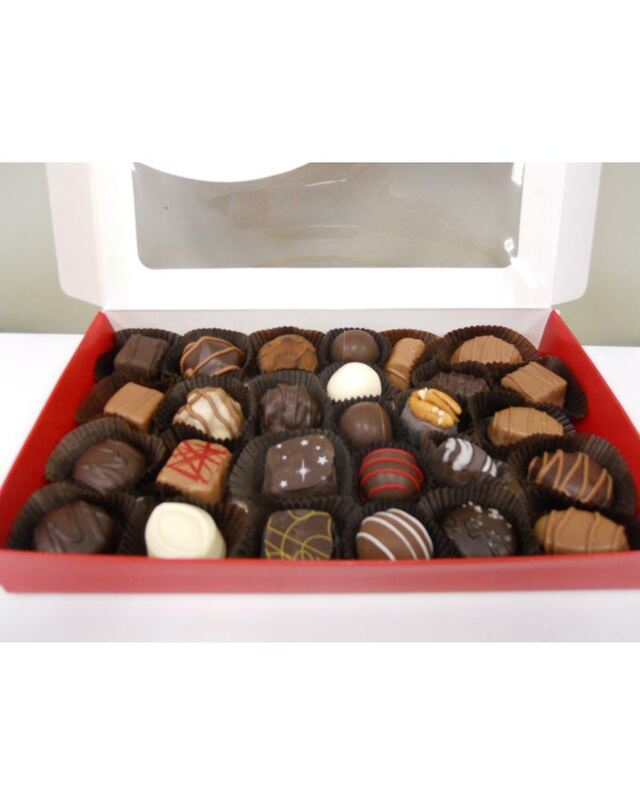 Click the button below to add the Pound of Assorted Chocolates to your wish list.